Cutler and Gross 1019 - Petrol Need Help? The Cutler and Gross 1019 model has a very nostalgic 50's/60's feel. 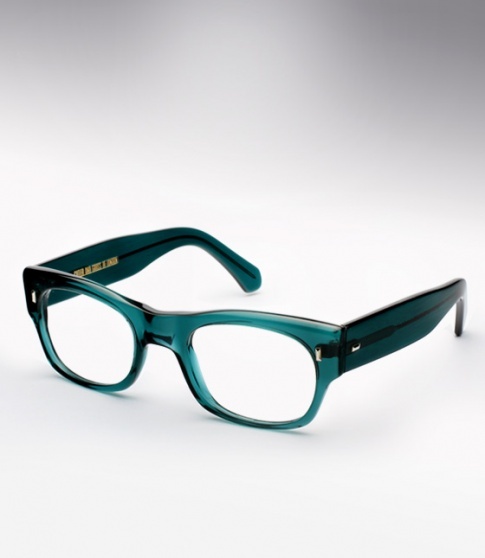 It features thick Italian acetate, wide temples, and vintage rectangular pins. It is handmade and hand polished with hand drilled riveted hinges. Offered here in the very unique and stunning semi transparent "petrol" colorway.